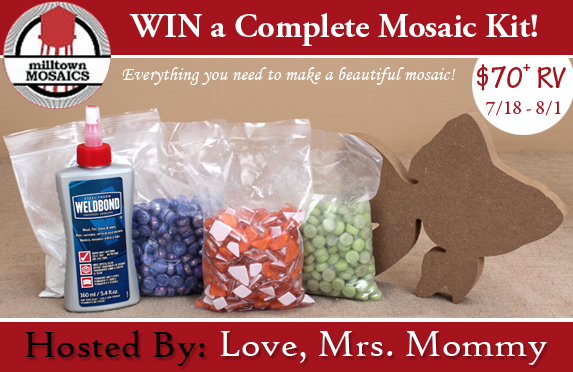 Winner Will Receive Over $70 worth of Mosaic Supplies! Previous post: Miracles From Heaven Family Movie Night Giveaway! Next post: $25 in FREE Stubb’s BBQ Coupons Giveaway!